Large commercial trucks sharing the roadways with much smaller, privately-owned vehicles can create a dangerous situation for everyone on the road. Because these vehicles are so large in size, they often have limited visibility, creating multiple blind spots in which truck drivers are unable to see the road. More importantly, if an accident involving a large commercial truck does occur, the consequences for all those involved in the accident can be substantial, even life-threatening. Accidents involving a large commercial truck are often subject to legal action, in large part because those who are the victims of these types of unfortunate circumstances often require substantial medical treatment in order to recover from their injuries. The costs of this treatment are often quite high, and therefore trucking accident victims often seek compensation for their losses. 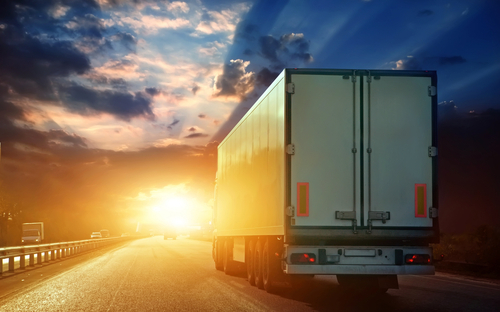 However, assessing liability for trucking accidents can often be complicated, as several different parties may be variously implicated in the accident’s occurrence. An example of a prominent trucking accident settlement can help to show how exactly this can operate. A truck driver working for a cable company in Texas struck a vehicle driven by Mindy Ragsdale, with her grandmother Peggye Woodson in the passenger’s seat, killing both women. The collision occurred even though the driver should have had as many as 14 seconds of visibility in which to come to a stop behind the vehicle. The accident occurred because the driver had been busy texting on his cellphone instead of focusing on the road, as he should have been. In this circumstance, the driver was clearly the individual responsible for the accident’s occurrence. However, the truck accident lawyer which represented the family of Mindy Ragsdale and Peggye Woodson was able to effectively argue that the company bore at least some share of responsibility for the accident because it had failed to implement a ban on cellphone use while driving for its employees. Under the legal theory of vicarious responsibility, this would have left the company liable for much of the damages sought by the family if the case had gone to trial. In order to avoid this outcome, as well as the negative publicity such a move might result in, the company settled out of court with the family. This is just one example of the many ways that trucking accident liability can be more complicated than it may initially appear. While the driver was certainly responsible for the accident, the company which employed him was also eventually deemed liable for the damages that his negligent actions caused because of its own lax safety policies. Many similar cases occur every year in the United States. This entry was posted in Accident Case Studies, Juris Doctor, Personal Injury, Pre Law, Trucking Accident and tagged commercial trucks, Mindy Ragsdale, Peggye Woodson, Trucking Accident on January 23, 2013 by Philbin. America’s aging population, which is being driven in large part by the retirement of the Baby Boomer generation, has had a significant impact on many different factors of our society, but one largely unnoticed trend has been the increasing reliance of many individuals and families on the use of nursing care facilities to help elderly Americans remain in good health throughout their twilight years. In fact, the demand for nursing home care, which has been steadily increasing for decades, appears poised to now reach unprecedented levels in the coming years. This, unfortunately, may also prove to be problematic. As the demand for nursing care increases, so too does the overall share of nursing care facilities operated on a for-profit basis. And the reality is that these facilities often cut corners, sometimes drastically, or otherwise mistreat their residents in order to increase profit margins. A disturbing case from South Carolina demonstrates the ways in which for-profit nursing homes can cause serious injury or other forms of damage to occur to residents. Life Care Centers of America, one of America’s largest for-profit nursing care companies with more than 200 facilities in 28 different states, is currently under investigation by the federal government for a series of abuses the company is alleged to have committed. The government’s interest in the company relates to potential Medicare and Medicaid fraud that may have occurred as a result of the company submitting residents to care and treatments which they did not need solely in order to bill the government more for services rendered. But the consequences of this unnecessary care have, in some circumstances, been devastating. At a South Carolina facility operated by Life Care, an 80-year old woman was placed in a standing frame for well over an hour, ostensibly for physical rehabilitation and “occupational” therapy. This woman was unable to control her head or keep her eyes open, and the treatment, as described in federal documents, had no relevant purpose. Two days later, the woman died, in part because of the unnecessary treatment she had received. In many other cases, for-profit nursing homes operate with far fewer staff than necessary to provide their residents with the care they need, choosing instead to optimize cost structures at the expense of patient safety. The results of this type of negligence can be just as devastating as unnecessary patient care, potentially causing medication errors, patient injuries, and many other possible causes of harm to occur. For this reason, for-profit nursing homes are often cited by nursing home abuse lawyers as the most dangerous care facilities in which to place elderly relatives. This entry was posted in Juris Doctor, Medical Malpractice, Nursing Home Case Studies, Personal Injury, Pre Law and tagged Baby Boomer, Life Care, Nursing Home Abuse, patient care on January 17, 2013 by Philbin. Regardless of the circumstances in which a person’s life is lost, the event is often a tragedy that can have profound effects on the lives and well-being of those who are left behind. However, this is particularly true in circumstances in which the death occurred as a result of another person’s actions. In consideration of the devastating consequences that this particular type of tragedy can have on others, the family of a deceased individual whose death occurred as a result of another party’s actions have the right to pursue compensation for their loss through a wrongful death lawsuit. Wrongful death lawsuits can arise from a wide range of different circumstances. Generally speaking, for a wrongful death action to have legal basis to move forward, it is only necessary to be able to show that an individual’s death was caused by the reckless or negligent actions of another party, actions which are beyond what a reasonable individual might consider appropriate. However, this is a legal formulation that incorporates a remarkable range of different types of actions. An evaluation of an extreme example of wrongful death lawsuits can help to illustrate how diverse this type of legal action can be. In 1994, Nicole Brown Simpson and Ronald Goldman were murdered in Los Angeles, California. Suspicion immediately focused on Nicole’s ex-husband, former NFL star O.J. Simpson, who was known to have had a tumultuous relationship with Nicole. O.J. was arrested after a dramatic police chase, and charged with the murder of Nicole Simpson and Ronald Goldman. He pleaded not guilty to all charges, and thus laid the groundwork for one of the most notable criminal trials in the history of the American legal system. After nearly eight months, the jury in this criminal trial returned a verdict of “not guilty,” though the evidence linking Simpson to the murders was substantial. This element of the O.J. Simpson case is widely known. 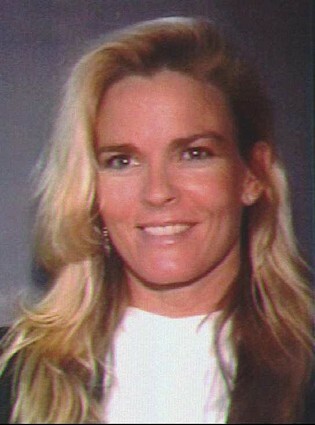 Less heavily publicized was the subsequent civil lawsuit brought against Simpson by the families of Nicole Brown Simpson and Ronald Goldman. Wrongful death attorney Daniel Petrocelli represented both families. This suit charged Simpson with the wrongful deaths of the murder victims, and the verdict was in this circumstance returned against Simpson, rather than in his favor. The reason for the different outcome came down to the standard of evidence required: in wrongful death suits, the standard required is simply a preponderance of evidence (in laymen’s terms, simply enough evidence to convince a reasonable person that the incident likely occurred), whereas in criminal prosecutions, the evidence must be conclusive to place guilt beyond a reasonable doubt. This is an extreme example of a wrongful death lawsuit; many other cases are more benign in the underlying cause, often involving issues such as workplace accidents, defective products, or medical malpractice. Regardless of the cause, though, individuals who lose a family member as a result of the irresponsible behavior of others are all granted the legal right to pursue compensation for their loss. This entry was posted in Juris Doctor, Personal Injury, Pre Law, Wrongful Death and tagged O.J. Simpson, Wrongful Death on January 12, 2013 by Philbin. When a person undergoes a surgical procedure, they already face serious potential health risks, regardless of the type of surgery they require. Problems with anesthesia, the potential for unexpected complications to arise, and a number of other factors can all contribute to make surgery a dangerous prospect in any circumstance. However, most patients are at least able to take comfort in the fact that their medical care providers have the expertise and experience required to perform the procedure to the best possible standard. Unfortunately, this confidence is sometimes misplaced. While the vast majority of surgeons are highly competent, dedicated professionals with the skill necessary to perform the incredibly complex procedures required in modern medical care, a small but substantial minority of surgeons are ill-equipped to take a patient’s life in their hands. An in-depth examination of a well-known case of surgical error can help to make this point clearer. Dana Carvey, the comedian best known for his roles on Saturday Night Live and in the Wayne’s World movies, began experiencing severe chest pain as a result of angina. After undergoing several angioplasties to relieve the pain, all of which were ineffective, he eventually opted to undergo double bypass surgery in 1998. Unfortunately, he continued to experience chest pain even after the surgery had been successfully completed. In an effort to determine precisely what lay behind the ongoing pain, Carvey underwent an angiogram. This test revealed that the double bypass operation Carvey had undergone had been performed on the wrong artery. While Carvey was lucky enough to have caught the problem in time (a final angioplasty procedure, performed by a different surgeon, successfully relieved Carvey’s arterial blockage, and he sustained no long-term damage to the heart muscle), the failure on the part of his initial surgeon placed his life in imminent danger. Without additional procedures, Carey may well have suffered a life-threatening medical event. As a result of this revelation, Carvey, with the assistance of a skilled medical malpractice attorney, sued his surgeon and the facility at which the operation was performed for $7.5 million, eventually settling for an undisclosed amount, which was distributed to various charitable organizations engaged in research for preventing heart disease. Carvey had the luxury of significant financial security, which enabled him to pursue the suit solely for the purpose of holding his surgeon accountable for his errors. However, many patients who suffer from the effects of medical malpractice do not have this luxury, and must pursue litigation as a matter of necessity as much as one of accountability. This entry was posted in Medical Malpractice, Medical Malpractice Case Studies, Personal Injury, Pre Law and tagged Dana Carvey, Malpractice, Wrong-Site Surgery on January 11, 2013 by Philbin. Medical malpractice is a legal term, used to refer to injuries or illness that medical professionals may cause to patients by failing to comport with the standards expected of the medical profession. Medical malpractice can occur in a wide variety of different circumstances, sometimes arising as a result of a doctor’s failure to act and in other situations occurring because of careless errors or recklessness. Regardless of the cause, however, the victims of medical malpractice have a right to pursue compensation from those responsible for their damages through a malpractice lawsuit. Determining liability for malpractice can sometimes be more complex than it may initially appear, however. Particularly when malpractice occurs at large medical institutions, such as hospitals, there is often a distinct possibility that more than one party contributed to the events resulting in an instance of malpractice. 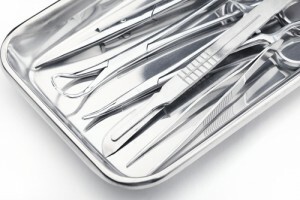 An examination of a specific case can help to illustrate the remarkable complexity of some medical malpractice cases. The actor Dennis Quaid and his wife Kimberly were the proud parents of twins in November of 2007. However, when their children developed a staph infection, the hospital at which the twins had been delivered accidentally gave the two children an anti-coagulant medication several hundred times stronger than the medication which they were supposed to be administered. As a result, the children were rendered unable to clot blood, meaning that even a slight cut or other injury could prove fatal. For several days, the children’s lives were in imminent danger, after which the effects of the medication began to wear off and the threat gradually subsided. Quaid and his wife, with the assistance of a medical malpractice attorney, filed a suit against both the hospital responsible for the medication error and the company which manufactured the medication. The errors on the part of the hospital were self-evident, if largely understandable, and a settlement was soon reached. However, the lawsuit against the medication’s manufacturer, Baxter Healthcare, is more complicated. The hospital’s mistake, according to some observers, was not the first time this type of problem had occurred with this particular medication. In fact, the anti-coagulant which had been improperly administered to the Quaids’ twins had been associated with several other instances of medical malpractice, resulting in several cases of infant mortality. The problem, according to the suit, arose from the remarkable similarity between the packaging of different versions of the medication produced by Baxter Healthcare. The suit is currently still pending. As this case should demonstrate, medical malpractice can and often does occur as the result of errors and mistakes on the parts of several different actors. 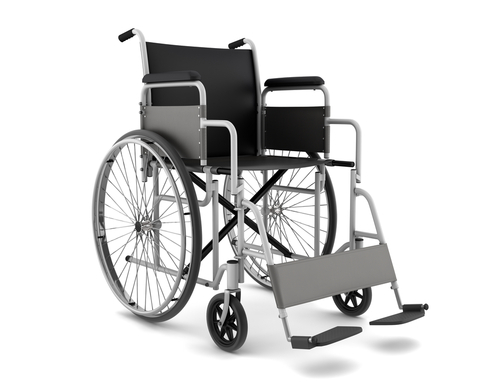 In these circumstances, liability may be assessed to several groups. This entry was posted in Juris Doctor, Medical Malpractice, Medical Malpractice Case Studies, Personal Injury, Pre Law and tagged Baxter Healthcare, Dennis Quaid, Malpractice, Medication on January 11, 2013 by Philbin.